When speaking of Victorian era furniture, its worth remembering that this era featured the heart of the Industrial Revolution. Therefore, furniture and things such as this were beginning to be mass produced. Only the very wealthy people often had some of the most popular hand-crafted styles that most view as true Victorian era furniture. Also, since this was the case, there was really no one or two artists that stood out as being revolutionary during the Victorian era. 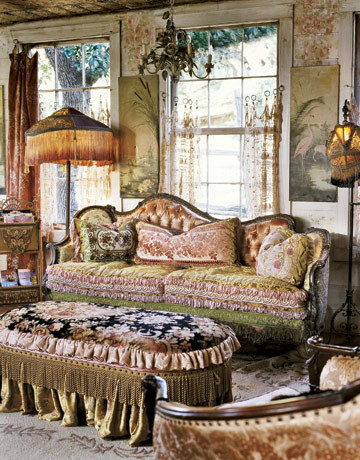 Instead, most hand-crafted furniture took on the styles of Gothic and Rococo styles. The artwork in most of the furniture was very delicate but symmetrical. Therefore, if you had a design on one side of the table, it more frequently held the same design on the other side. No longer was a craftsman going to produce a piece that did not mirror itself in most cases. Tea parties and live events had become very popular throughout the Victorian era. 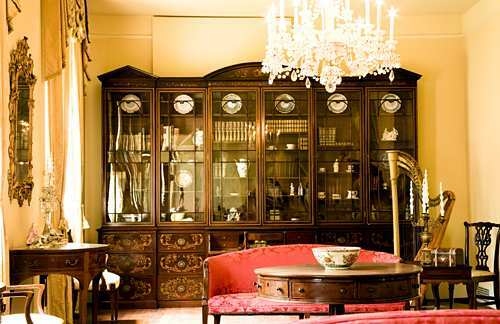 It was now a necessity to have furniture that could be easily moved and arranged in a way that was convenient for both occasions when there was no extra company, and could be moved and arranged in a way that would accommodate many people for the parties. Therefore, the furniture changed from being mounted to a wall and built in a way that would not allow for flexibility in a room, to furniture that was standalone and relatively small. The furniture also had changed from simply being able to be moved to also having cushions that could be removed and the backs of chairs which could extend and lower, often giving different feelings of how formal the room should be. All the furniture was very versatile in its uses and had a much more light hearted appearance to it. The mass produced furniture was much simpler in design and functionality in comparison to these types of custom-made furniture that would sit in most of the wealthy people’s homes throughout the Victorian era.